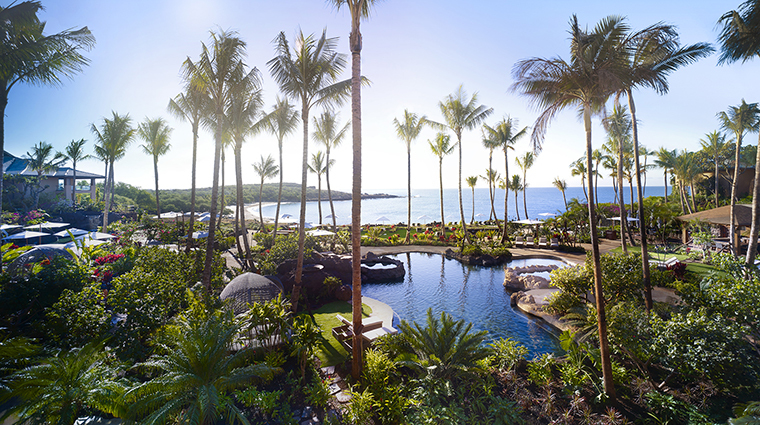 As you walk toward the deck of Four Seasons Resort Lanai and soak up the stunning view of Hulopo’e Beach and the free-form pools surrounded with palm trees and tropical foliage, you’ll instantly realize that you’ve arrived in paradise. 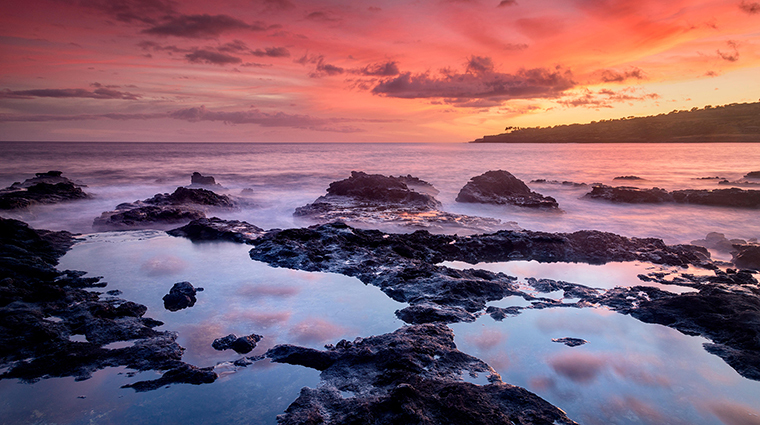 Perched on a red-lava cliff amid a marine reserve filled with colorful fish and migrating dolphins, this serene resort is an idyllic place for a honeymoon, family vacation or just a getaway. Your leisurely days will be filled with walks along on the beach, snorkeling, golfing or pampering in the luxurious spa. 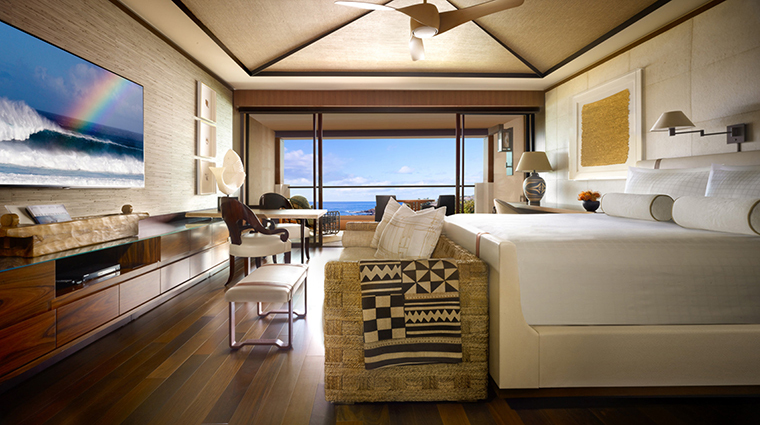 Then at night, you’ll walk past koi ponds and lush botanical gardens to retire to a supremely cushy bed in modern island-inspired accommodations, which were unveiled after a massive 2016 renovation by top talent Todd-Avery Lenahan. The hotel owns this private island and ensures a Four Seasons experience from when you arrive to the island to your departure. You’ll have Four Seasons-level service when you opt for activities like riding horses at the hotel’s stable or rent a car. 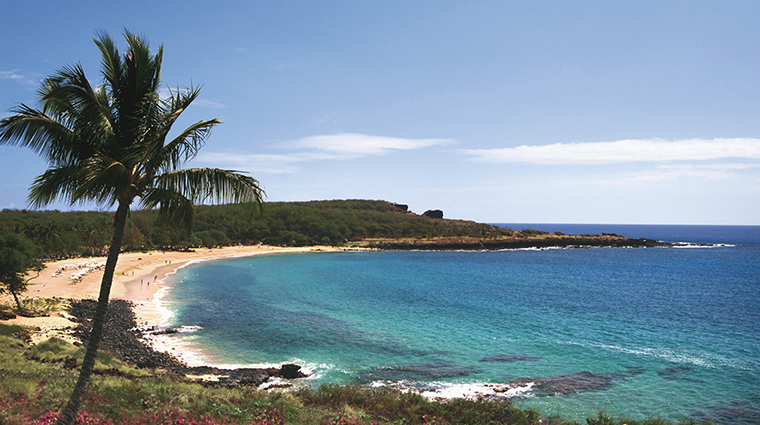 With only 30 miles of paved roads and a population of only about 3,200, Lanai feels like a remote destination, but the Hawaiian island is within easy reach — it’s a quick half-hour flight from Honolulu or a scenic 45-minute ferry ride from Maui. 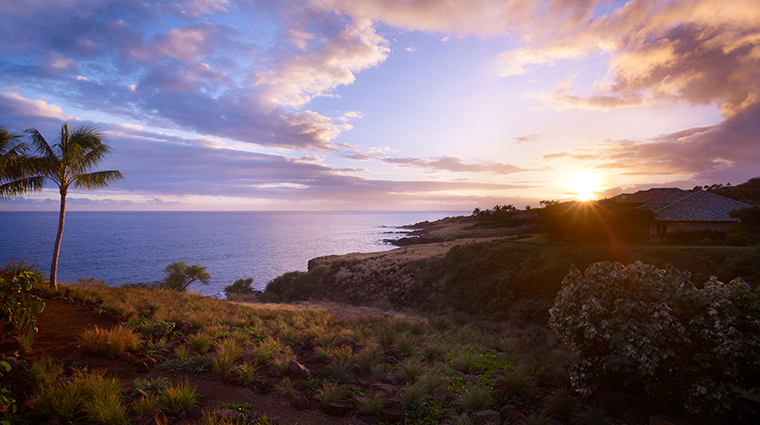 Built on lava rock formations, the 18-hole Jack Nicklaus Manele Golf Course will blow you away with spellbinding views of the ocean and ragged cliffs. 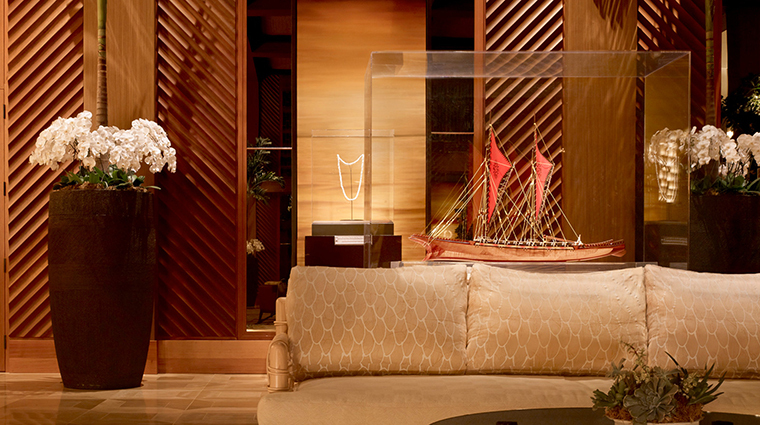 You’ll be assigned an ambassador, who will be a consistent presence throughout your stay. 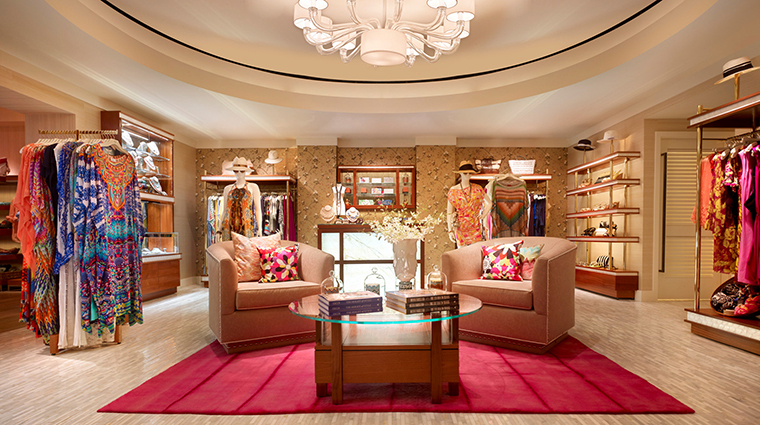 The ambassador will pick you up, check you in, be your personal concierge and do whatever else you need. We found it helpful to have a go-to resource who knows everything about our trip. Soak in the resort’s alluring pools under the palms (one is adults only) or borrow snorkel equipment and search for dolphins in the quiet marine reserve. Choose from a full slate of hotel activities. Discover the land via ATV, horseback ride, bike or helicopter. 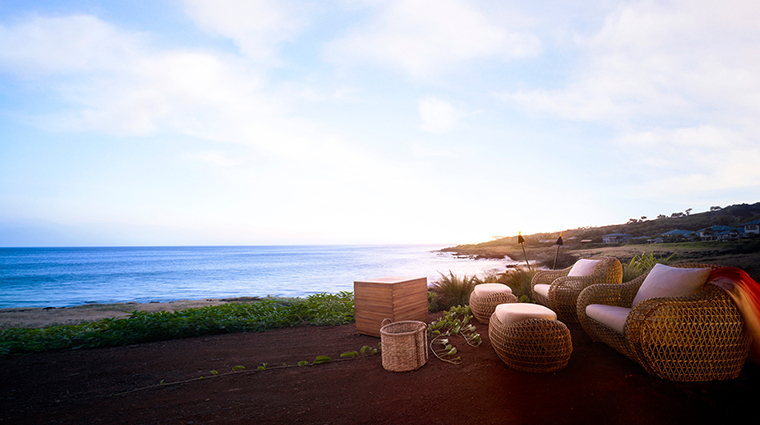 Immerse yourself in the local culture with the Hookipa Program’s lei-making classes, hula sessions and ukulele lessons. Kids will have fun in the children’s program. 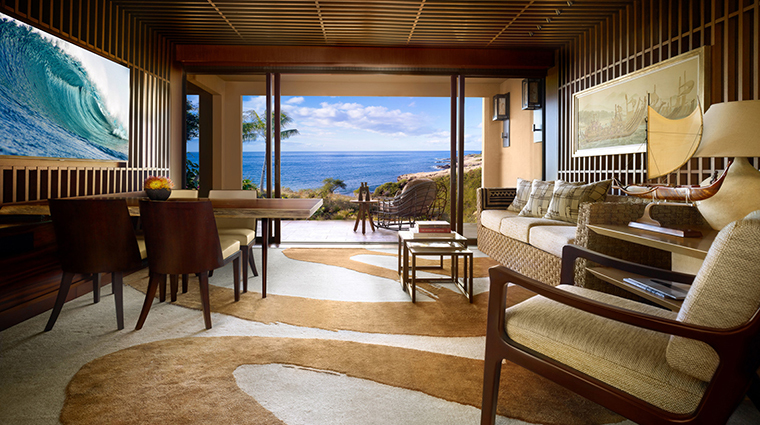 The Hawanawana Spa at Four Seasons Resort Lanai customizes all of its ocean-themed treatments. Go early to use the steam room — lavender for women and eucalyptus for men. 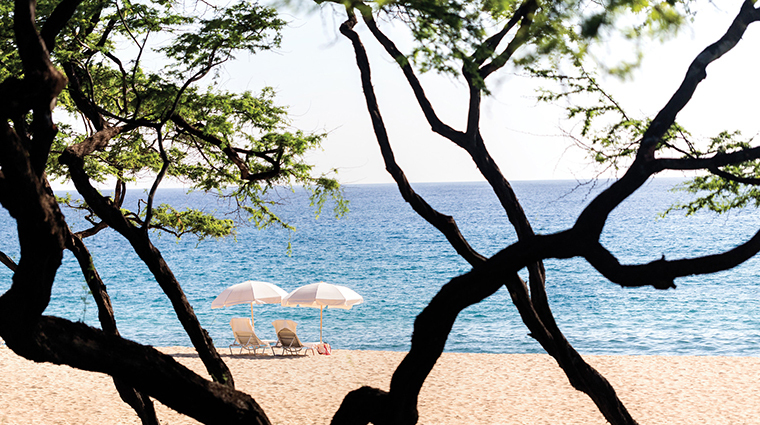 To get to the luxury hotel, choose between a 45-minute ferry ride from Lahaina, Maui, or an inter-island flight into the tiny Lanai Airport. 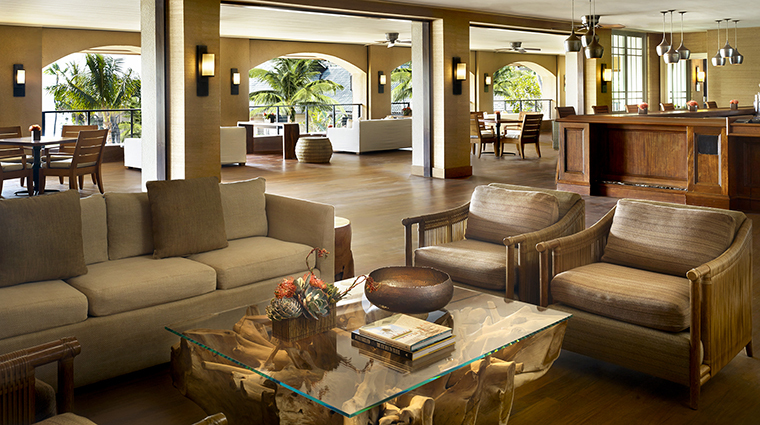 If you’re flying from Honolulu International Airport, the hotel has its own guest lounge there. 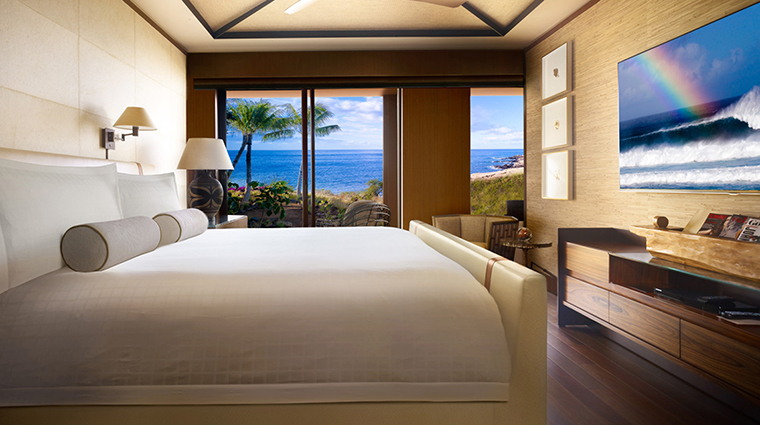 Four Seasons coordinates your transportation to and from the dock or the airport as part of your stay. While the hotel offers a plethora of activities, this is a sleepy island where you go to unwind. Fitbit-like wristbands function as your room key so that you don’t have to worry about losing a card during your many island adventures. 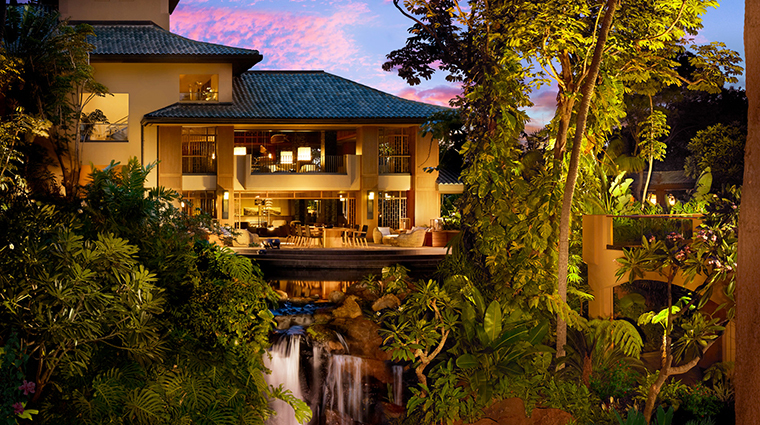 If you want to explore the 18-miles-long Lanai, the hotel maintains its own rental car fleet. 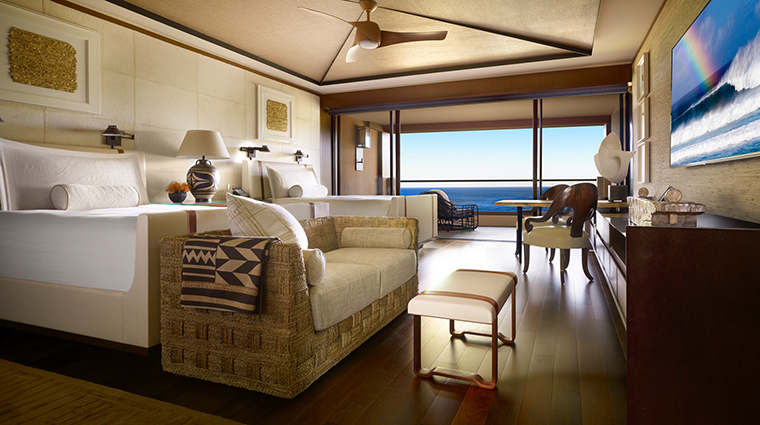 Teak and stone entryways, Nepalese Lokta wallpaper, sleek mahogany flooring, hand-woven rugs and ocean-inspired art lend a Polynesian feel; rosewood and linen furniture adorned with leather and iron detailing is both modern and classic in a creamy palette. Rooms are packed with the latest technology: tablets that can take your room service and laundry requests, panels that control the curtains and lighting (choose “day,” “sunset” or “relax” modes), 75-inch LED televisions and Blu-ray players. 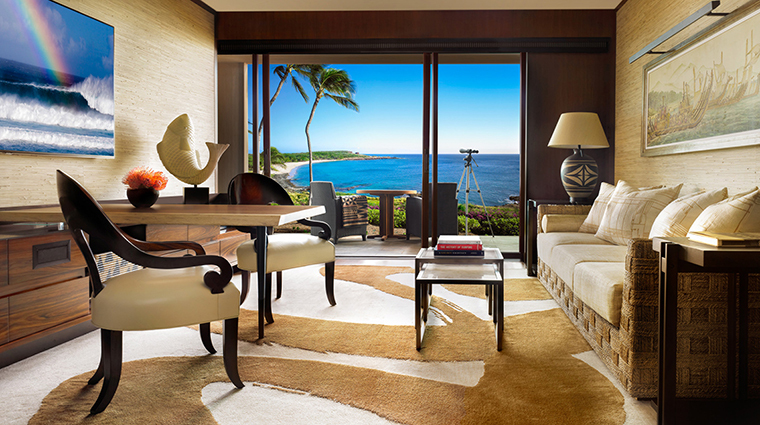 All accommodations have lanais or balconies overlooking gardens, the Pacific or the Hulopoe Bay marine sanctuary. 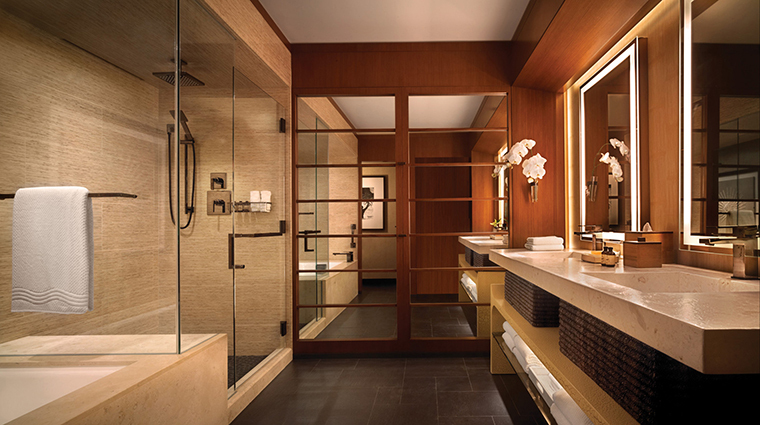 In the large bathroom, stone-topped vanities, slate floors and teak walls create a peaceful ambience for relaxing in the gigantic rain shower or deep-soaking tub while you watch the in-mirror television. The Lanai hotel collaborated with Lather to customize the Aina (“land” in Hawaiian) line, sweet-smelling plumeria toiletries that you will want to bring home. 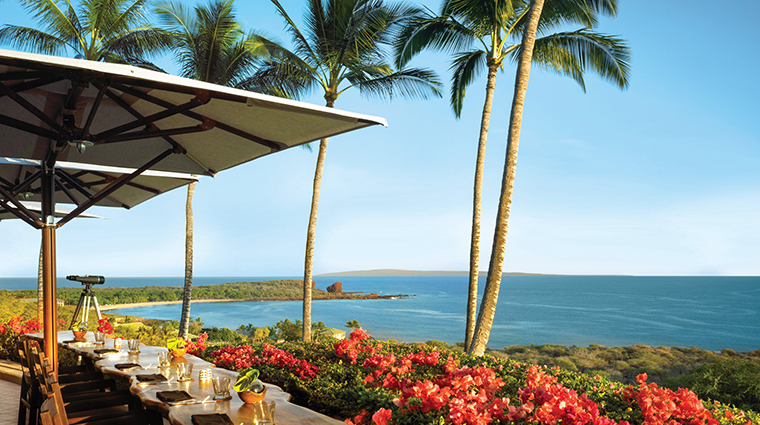 Among the nine restaurants and bars, the main attraction is famed chef Nobu Matsuhisa’s Nobu Lanai, offering teppanyaki, sushi and plush, outdoor seating with pool views. Get there at sunset to witness the nightly lighting of the torches. Go to One Forty in the morning for an ahi tuna Benedict and then return at night for succulent Hawaiian seafood and steak, like seared snapper with charred Japanese eggplant, grilled kale, arugula and pomegranate plum gastrique. Head poolside for a fresh, healthy lunch at Malibu Farm, an outpost of the California favorite. Light bites include burrata and papaya salad with arugula and candied macadamia nuts, and a Portobello mushroom burger. 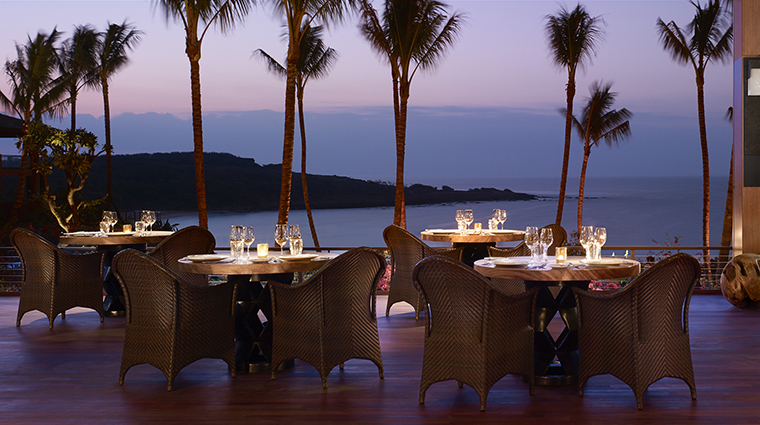 Even if you don’t play golf, don’t miss a meal at the course’s Views. Enjoy BLTs (big prawns, bacon, lettuce, tomato, caramelized onions), tropical ice cream sandwiches (pineapple-coconut ice cream between gingersnap cookies) and jaw-dropping cliff and ocean panoramas. Catch the game on a 90-inch TV, play some pool and order some pub fare at the open-air Sports Bar and Grill.